↑ Kolars, J.F. ; Mitchell, W.A. (1991). 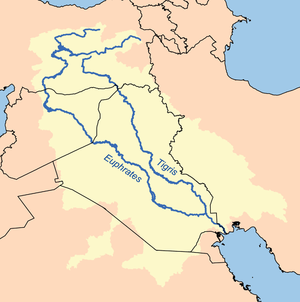 The Euphrates River and the Southeast Anatolia Development Project. Carbondale: Southern Illinois University Press. पप. 6–8. ISBN 0-8093-1572-6.